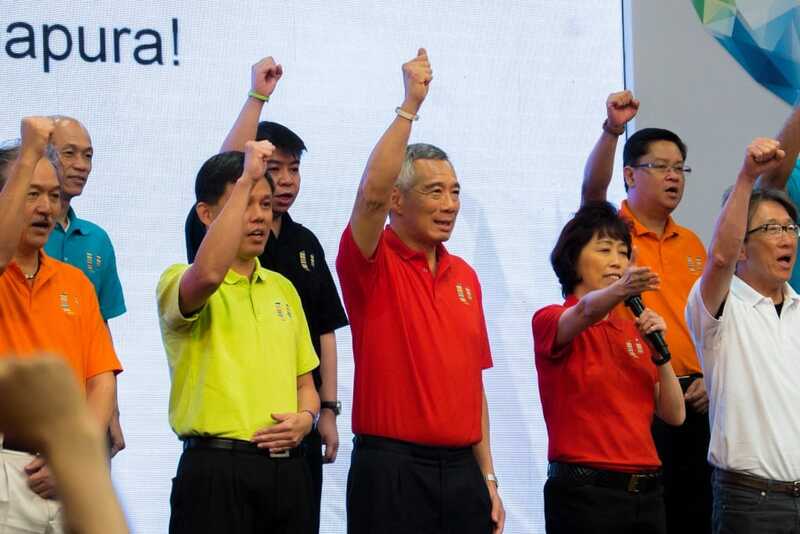 Why do PAP leaders pump their fists in the air to cheer "Majulah NTUC" at the rally every year? Why do PAP leaders pump their fists in the air to cheer “Majulah NTUC” at the rally every year? At NTUC May Day rally held on 1st May every year, the President of NTUC will lead the NTUC and PAP leaders (PM Lee included) to pump their fists in the air to do a very unique cheer. Majulah NTUC! Majulah PAP! Majulah Singapura! – this enthusiastic cheer will resonate in the hall of at least 1,000 participants. It’s a yearly tradition and according to Blogger Miyagi, he thinks the NTUC won’t be getting rid of this symbolic act anytime soon. Like any other traditions, they are passed down to the younger generations for a reason. And whether or not people agree that traditions should be upheld, it’s important to understand why traditions exist in the first place. For instance, a reunion dinner during Chinese New Year is one of the most significant traditions for the Chinese. Some Singaporeans might argue that they don’t need a specific day to eat with their families if they do it on a regular basis. However, it serves as a reminder for all especially those in bigger countries, to reunite with their families, no matter how far they live apart from each other. Therefore, if you must know, the tradition of rallying together – the NTUC and PAP, can be traced all the way back to 1958 where Mr Lee Kuan Yew started his life as a lawyer and his first big job was the postmen strike. Mr Lee was involved in trade unionism first before joining politics and eventually becoming the first Prime Minister of Singapore. And so were many founding members of PAP – they were trade union leaders who wanted to fight for a better life for all working Singaporeans. In 1961, there were 84 strikes in Singapore, out of which 77 were by the communists who broke away from the PAP and STUC* (Singapore Trades Union Congress) to form SATU (Singapore Association of Trade Unions). *Those who remained in STUC eventually formed the NTUC. The communist unions (SATU) held strikes and riots to advance their political interests but it didn’t lead to better employment conditions. Wages remained low and jobs were lost. The PAP knew that Singapore had to be economically strong in order to survive and the NTUC knew workers would benefit from a strong economy. They call it the symbiotic relationship. Here’s an excerpt from Mr Lee Kuan Yew’s speech at NTUC first May Day rally in 1960 at Jalan Besar stadium. 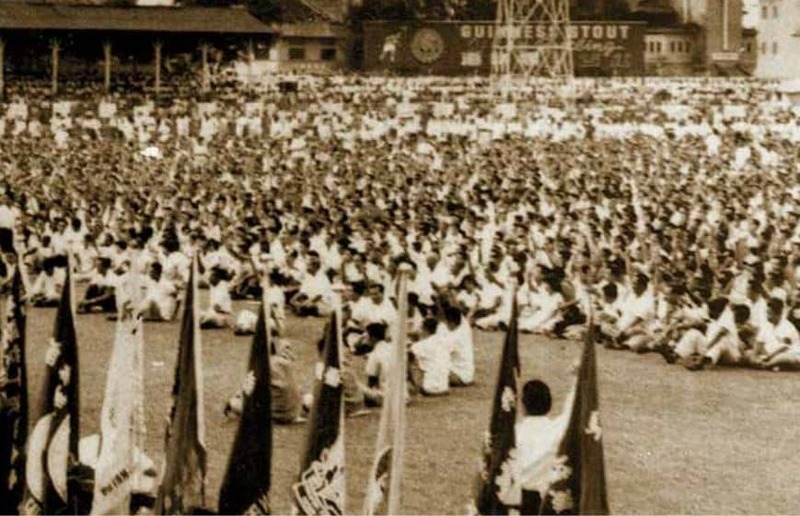 May Day 1960 will always be a notable occasion in the history of the trade union movement of Singapore. For this is the first time that May Day is celebrated in Singapore when there is a government which is openly on the worker’s side. The P.A.P. said clearly before and during the elections that a P.A.P. Government is a Government on the side of the workers. Click here to read his full speech.